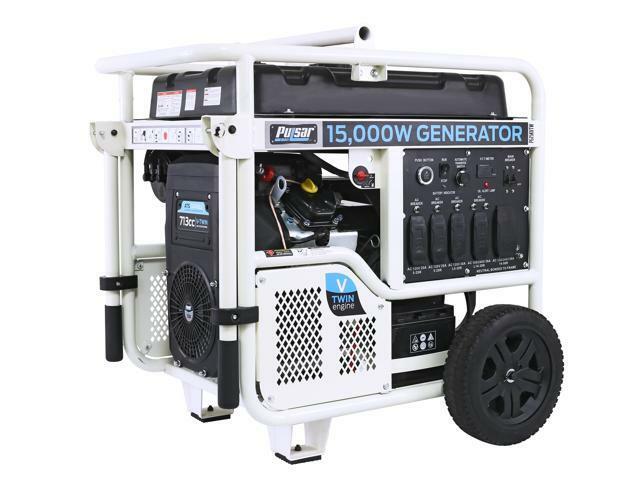 When the lights go out the PG15KVTW V-Twin Portable Generator is there to provide you with 15,000 Peak & 12,000 Rated watts of power to help you weather the storm. 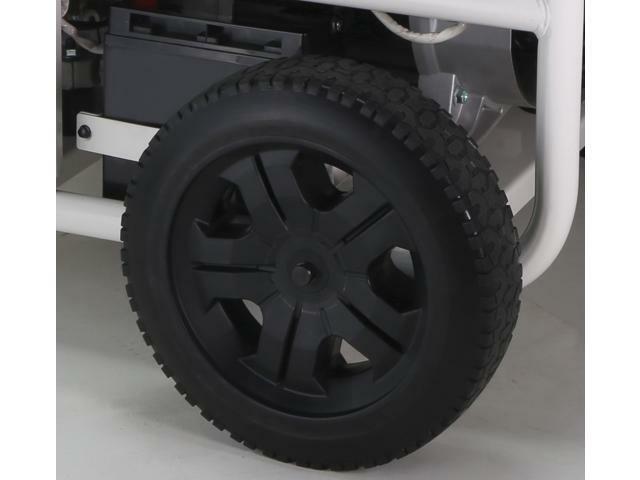 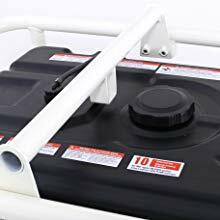 It sports a 713cc, V-Twin Cylinder engine and a heavy-duty powder coated frame with never flat wheels and folding handles for durability and easy handling. 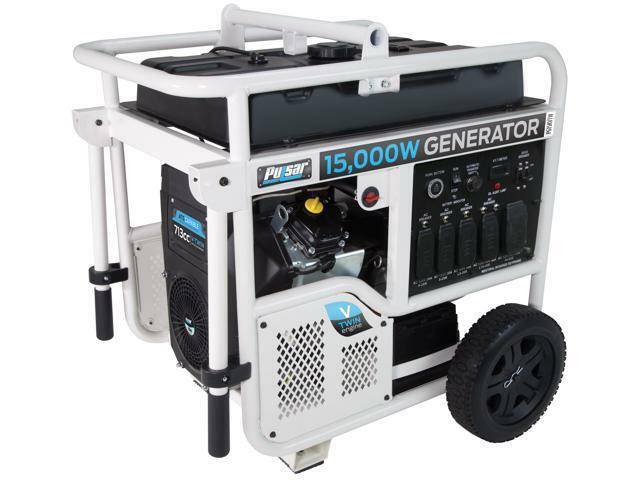 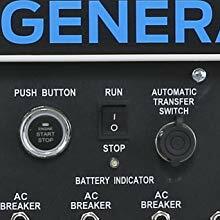 Features like the Four 120V Duplex outlets, one 120/240V 50A outlet, one 120/240V 30A Twist-Lock outlet, and one 120V 30A Twist-Lock outlet make the PG15KVTW a versatile and reliable power source for home backup, jobsites, and more. 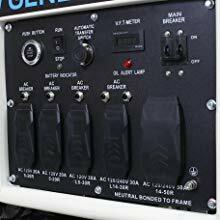 Featuring four 120V Duplex outlets, one 120/240V 50A outlet, one 120/240V 30A Twist-Lock outlet, and one 120V 30A Twist-Lock outlet for powering tools, major appliances, and so much more! 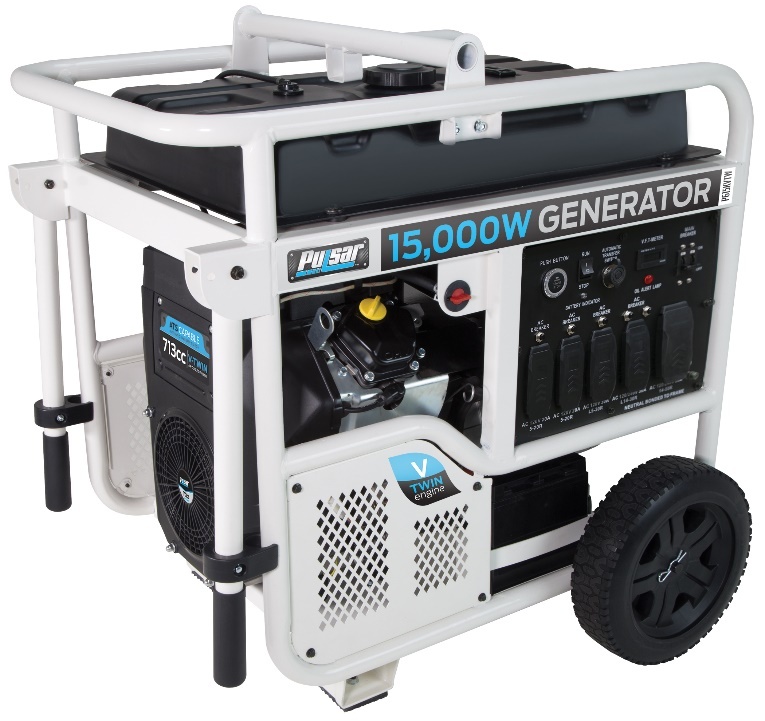 Convenient dual drop down handles and large never-flat wheels allow you to easily maneuver the PG15VTW wherever you need. 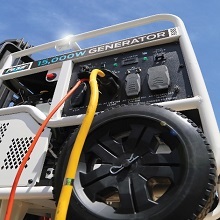 The heavy-duty steal frame comes equipped with a reinforces lifting bar, giving you the ability to lift and move the PG15KVTW with the use of a hoist. 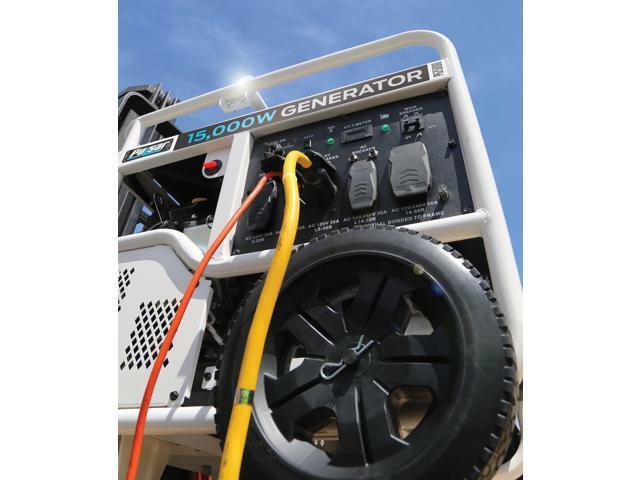 Electric push start makes getting up and running faster than ever and ATS capability means less worry and hassle during occasional power outages.